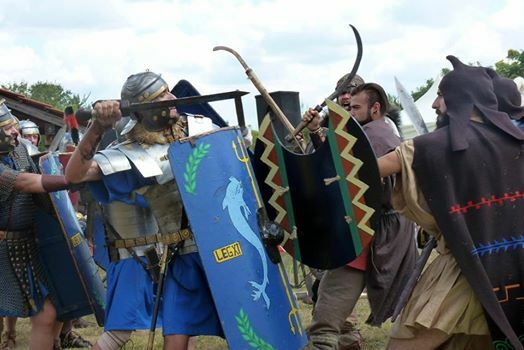 In the 4th edition of the Ancient Roman Festival “Nike-play and victory” will participate groups from Bulgaria and neighboring countries. There is a craft market, workshops for demonstrations of Roman games, Roman fashion, hairstyles and cuisine, playing with the audience. It recreates the establishment of the city – rituals, Roman-Dacian wars: demonstration of equipment, battlefields and battles, Roman process, slave market and gladiator fights. The reconstruction of Emperor Karakalas and the demonstration of the Sports Games, set up by Caracalla, is being made. In the evening there is an antique theater and a recital of ancient poetry, as well as a concert with ancient musical instruments and musical performances in Latin. Traditionally, on the third day of the festival is a Late Nintic Reclamation – an episode of the Roman-Gothic wars and a presentation of the missionary activity of Wulfilla. The organizers are Association Veliko Tarnovo, RIM Veliko Tarnovo, Town Hall of Nikyup, Associations “Future for Nice”.